IBM MobileFirst for iOS Today's Train simplifies the rail system management process by enabling all materials to be available at the touch of a button. 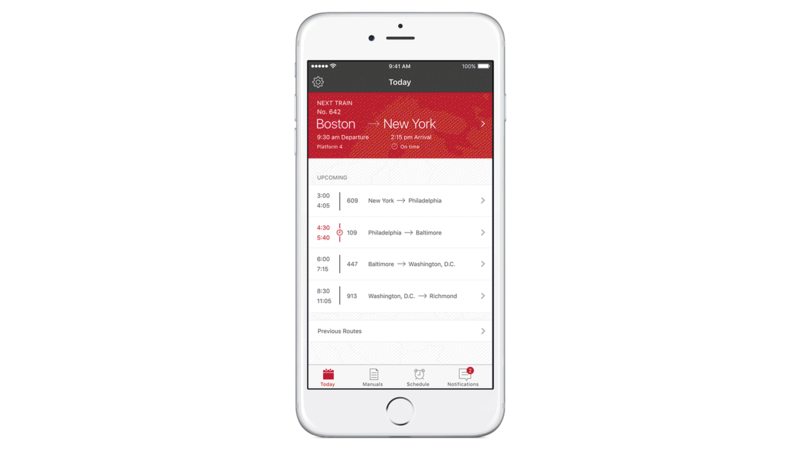 IBM MobileFirst for iOS Today’s Train provides real-time train and passenger details along with powerful analytics to help train attendants determine their best course of action. Today’s Train provides a seamless management experience that eliminates the paper process completely. Attendants can access train status, connection and track information to help improve on-time train connections, departures and traveler satisfaction. With this mobile app, rail lines are not dependent on paper manuals, FAQ pamphlets, inconvenient Lost and Found systems and manual incident logging. Attendants now have relevant travel information at their fingertips. The app sends notifications and timely reminders that affect a train attendant’s journey – such as delays, new requirements and an entry or exit of mobility-impaired passengers. Attendants view real-time data – stops, route details, connecting trains and more. The data is informed by Location Services, so attendants can proactively determine the best course of action. An attendant can see a summary of actions for the day, to better facilitate handoff to the incoming attendant. Train attendants are alerted when their data is no longer current.